Recliner Chairs. It is upholstered in super soft Real Leather (Bond Grade). Type Armchair. Sub Type Recliner Chair. Ideal for the elderly or anyone wanting a stylish, comfortable and durable seating solution. 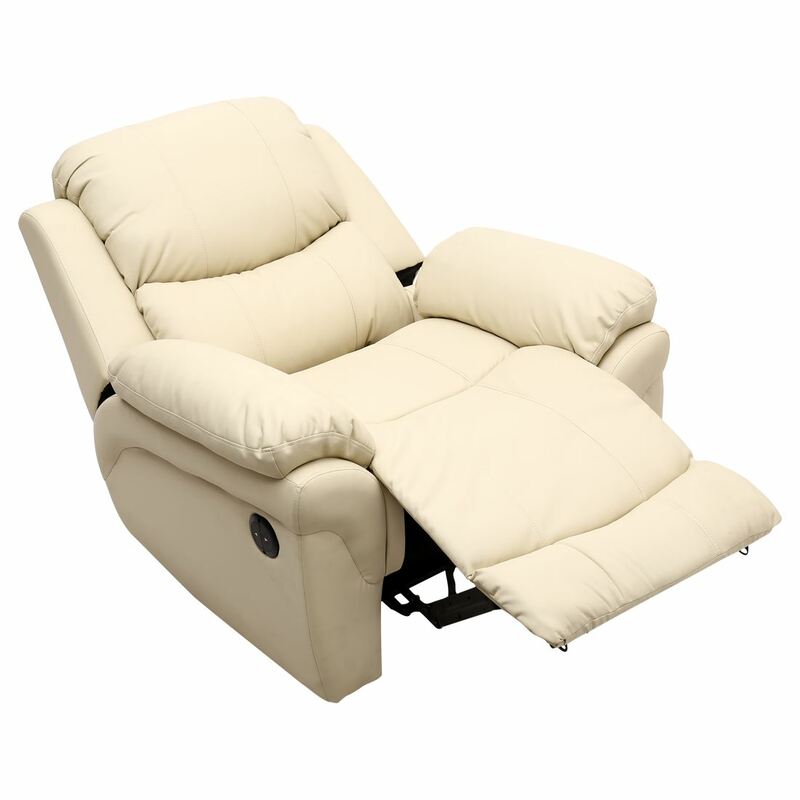 Enjoy an effortless comfort with this auto-reclining airmchar by Madison. Made from soft real leather with additional lumbar support and soft padding for the ultimate in comfort, this chair takes the strain out of reclining. The electric motor powers a reclining motion at the press of a button, with the back lowering in line. A separate button returns the chair gently back to the standard upright position. I bought this chair having flown home from New Zealand Business Class and wanted just that bit extra in my home. Without a doubt this chair provides it. It's not the ultimate in luxury but boy, is it good! Fantastic value for money, good looking and, can I say more, I I often fall asleep in it. Highly recommended, oh, and they're nice people to talk to as well. This chair works very well, for the price paid.£235 There are chairs in big stores three time the price paid. My only fault was the quality of the leather, it is very hard to the touch, not soft as the more expensive chairs that cost much a higher. I have purchased two of these chairs, both needing extra cushions. But all on all great value.